Today I heard a story on the radio that caught my attention. It began with a story not unlike my own. A writer discussed how she’d received complementary letters from publishers and editors in response to her manuscript submissions. Although they liked her work respondents didn’t think they’d be able to market it. As this was my experience, I wanted to hear what happened. Also like me, Karen McQuestion had been a freelance writer, and had written on a regular basis for a local newspaper. Karen loved to write. Her heart’s desire was to write novels. Karen had written several and had even had an agent. Unfortunately, she was unable to sell her books. A year ago McQuestion began to think she’d never be a success as a novelist. When her freelance work dried up, she realized it was time to take a serious look at her options. During this time Karen learned about a writer who published his novels as e-books. After 7,000 download the author had earned a small royalty and a publishing deal. Karen didn’t know the basics such as how to design a book cover or determine pricing, but decided publishing on the ‘Net was worth a try. McQuestion reasoned that if her books weren’t successful she’d have lost little, and in the best case she’d make enough money to continue writing. During the next six months she uploaded six books. Karen McQuestion wrote on her blog: “I’ve had (to me) unbelievable success. The first few months I was stunned that anyone was actually buying and reading my books. I’d wanted it for so long that I was afraid of it all going away. Some small part of me thought that my sales would peak and then taper off to nothing. But despite my worries, my sales numbers kept growing, partially because I was adding books and also because more people were buying e-book readers. Karen’s story doesn’t end there. She’s had one of her novels optioned for film. She also was contacted by an editor who wanted to publish her books. Karen’s success didn’t come overnight. Her love of writing kept her going. Not every writer is likely to have Karen McQuestion’s success; however, if you love writing, the process is its own reward. What keeps me going? A commitment to the women who contributed to my book Living in the Heartland: Three Extraordinary Women’s Stories; the positive comments and support I’ve had since I released the book and it’s companion blog Living in the Heartland; and the faith that something good WILL happen. Once again I wish to thank Nancy Burke Barr for her guest post on Facebook. I respect both her wisdom and views on social media. Nancy has generally been patient with me, but my comments to her post resulted in a suggestion that I tone my skepticism done a notch. Nancy stands in the light. She has faith in the power of social media. I stand in the shadows looking out at the social media wondering if the promise of its brilliance is real or perceived. I also ask whether there are more risks than benefit. Nancy clearly lives in sunny Southern California, and I in a more pragmatic northern cline. One area where Nancy and I occupy the same position on social media is in its networking potential. In the six months since I have began learning about social media I’ve met some good people. One of the most amazing is Kathleen O’Keefe Kanavos. She is a two time cancer survivor. Kathy is also the author of a book designed to help cancer patients advocate for their successful recovery. This approachable, generous lady has achieved enormous success in only 8 months on the Internet. She has more than 5,000 followers on her FB page one and more than 3000 Twitter followers. I present her story in two parts: the first is a discussion of the value of social media for writers, the second contains Kathy’s views on traditional vs. indie publishing. Her posts are both encouraging and cautionary, but above all else Kathy is genuine. Q. How long ago did you get involved in Social Media? Where did you start (eg. Twitter, FB, blogs)? Why did you decide to use SM? A. I got involved in Social Media after I signed a contract with my agent. He felt a social presence on the Internet was important for my book’s platform. He suggested that I set up a Web site, get on twitter, and Facebook. That was ten months ago. I now have 5,000 followers on FaceBook , over 3,000 on twitter, and I share my blog http://survivingcancerland.blogspot.com on over 10 sites. An author’s SM presence reflected in the book proposal’s platform is one of the most important areas at which a publishing house will look. It doesn’t matter if you have the best book in the world if you cannot tell others about it to sell it. Publishing companies are not in the publishing business to sell books. They are in it to make money. You, as an author, must show them that you have the contacts to do that. Q. Did you find SM helpful from the start or did it take time? A.I found it extremely helpful. I made many friends who were helpful in building contacts. I am followed on Twitter by many publishing houses. One of them contacted me to answer a questionnaire about the future of publishing. I was pleased, honored and shocked. Me, Miss Doesn’t-Know-How-To-Turn-On-A-Computer one year ago giving advice to publishing houses. I was rewarded by a free book of my choosing. Q. What are your stats? Have they grown slowly, steadily or only recently jumped? Q. How has SM helped as a writer? If you weren’t promoting the book, how has SM helped you? A. I believe writing is a skill that improves with use. Developing a “voice” takes time and patience. When I review old blogs I realize I may have stated things differently, although the main topics would have remained the same. Q. How important do you view SM to the success of today’s writer? Social Media is booming. It is easier now more than ever in the history of communication to contact and interact with people all over the world. Unless you are Dan Brown and already have a following, SM is very important. 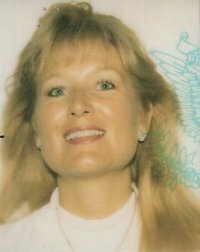 http://www.facebook.com/editprofile.php?sk=contact#!/pages/SURVIVING-CANCERLAND-The-Psychic-Aspects-of-Healing/142803307934?ref=m. Follow her on Twitter @psychichealing. Next time we’ll explore Kathy’s book and the publishing industry. To read more stories of extraordinary women go to Living in the Heartland. A while back someone asked me: What would you consider a success? I had contacted the woman in mid-January after I published my book Living in the Heartland: Three Extraordinary Women’s Stories. She was local, and had a social media consulting business. Carole was eager to help. As she’d never used social media to promote a book Carole contacted a colleague for advice. The contact wanted to know if I’d only view myself successful if I reached my stated goal of 100,000 book sales (something I thought at the time was reasonable given the power of the Internet) or if I’d be satisfied signing with a traditional publishing house. I suggested a third option. After some thought I decided I’d feel successful if Living in the Heartland was picked up by a publisher who also offered me the opportunity to do additional books about extraordinary women living in America’s heartland. It’s approaching three months since Living in the Heartland appeared on Amazon.com. Has my personal measurement of succession changed? In a pie-in-the-sky world I’d say ‘No.’ I’d love to sell lots of books. I wrote Living in the Heartland because I wanted people to read about these extraordinary women, and because I wanted to promote dialog about issues faced by contemporary women and about diversity. If I can’t lay claim to 100,000 book sales, I am willing to redefine my personal success in terms of securing a publisher for Living in the Heartland with hopes of future contracts to write more books. Am I giving up on self-publishing? The answer is, “No and yes.” At the moment, I am not actively pursuing a publisher. Unless one reaches out to me, which isn’t likely until I sell enough for them to consider me a success, I’m committed to working to make my book a success. I believe that the future for books lies in social media especially as more books are sold in digital format. One thing I can say for certain is that I am positioned for the future, and ahead of authors who aren’t developing knowledge and skills in using social media. Why then would I be happy to embrace a traditional publisher if one came to me and asked to handle my book? This blog presents some of my experiences in self-publishing. In doing background for some of my posts I’ve also come across some unsettling data. I’ve used excerpts from the Science Fiction & Fantasy Writers of American 2-1-2010 article Print-On-Demand Self-Publishing Services below. See if you don’t reach a similar conclusion. E-commerce currently accounts for approximate 20% of book sales. Brick-and-mortar bookstores, especially the large chains, represent the most significant single sales source, and most of these don’t like dealing with print-on-demand self-published authors. Most books require a balance of online and offline presence to have sales of any significance. Here are the eye-popping, gut-wrenching statistics that the article present: “The average book from a POD service sells fewer than 200 copies, mostly to ‘pocket’ markets surrounding the author–friends, family, local retailers who can be persuaded to place an order–and to the author him/herself. According to the chief executive of POD service iUniverse… 40% of iUniverse’s books s are sold directly to authors. Stats for Xlibris were similar. According to a Wall Street Journal article, 85% of its books had sold fewer than 200 copies, and only around 3%–or 352 in all–had sold more than 500 copies. Things looked up in 2007: according to Xlibris’s own internal reports, obtained by Writer Beware, 4% of its titles had sold more than 1,000 copies. However, the averages still aren’t good. As of mid-2007, Xlibris had 23,000 authors and had published 23,500 titles, with total sales of over 3 million–around 127 sales per title. Wish I’d read these numbers before deciding after only about two dozen rejections − some were actually handwritten and supportive – from agents and publishers. If I known what I do now I think I’d still be sending out manuscripts as opposed to complimentary copies of my book trying to establish a foothold in the market. …As a freelance writer for a traditionally published newspaper I have never been assured a paycheck or a given pay rate. I have always served at the whim of my editors, and I DO mean whim. Some editors are more generous than others. I have never been clear on how they determine the value of an article. There are, of course, less material returns. My work IS published. Some of my stories are a form of community service. Many of the human interest stories I write are likely to go unnoticed. I enjoy meeting a diverse range of people, especially the kids, and giving them a few inches of fame in the paper. I get no rewards from the Internet sites that use my stories without my permission or royalty payment. The Internet has caused me to lose control of my material. I’m not sure if there’s much recourse for writers. You do the math. 900 submissions in 365 days. 60 acceptances out of 900 submissions. If Phoebe isn’t prone to hyperbole then she is writing her heart out every day with little reward. Her time spent writing is matched, I am sure, with cruising the Internet to find places to submit content. Content has also been changed by the Internet. In this digital age people want quick reads. Articles are shortened. Language is morphing. There is more jargon, abbreviated words, less grammatical rules. It might be argued that this laissez fair world makes it easier on writers. As the craft of writing is morphing into shortened forms, I wonder if there won’t come a point when our written language returns to symbology, becomes the modern equivalent of hieroglyphics. I also see video images replacing the written word. For example, I have noticed an increase in the number of video tweets on Twitter. I think writers are in the midst of a free fall. Like Alice tumbling down the rabbit hole, we don’t know what lies at the bottom. I’m using this time to learn how to maneuver in the social media world. I want to discuss the notion that in the not too distant future that all books will be digital, but in my next post I want to return to looking at the trials of self-publishing. Writing with Professionals – A New Publishing Scam? “Getting published with well-known authors, looks great for your portfolio, saves you on publishing and editing costs. Just for one book it can cost well over $1500 to hire an editor. Why not take that money instead and invest it in yourself? “You buy a set number of books for a small fee, and turn around and sell them by doubling your profit. Not only will you get back your initial investment, but you will make a tidy profit for yourself. You are guaranteed to sell your books because you are the one that will promote and sell them. You can easily set up an account on Amazon, or on your Web site. “Talk to the experts, they will tell you just how easy it is to be published along with some very well known authors who have written best-selling books and sold millions. It’s not every day you get a chance to be connected in such a fabulous way! “All you have to do is write a chapter about something inspiring as a speaker, author or writer. You can submit from 750 to 1500 words. The only fee is you promise to buy a certain amount of books and in turn you will sell those books and double your profit. Before I say anything else I need to tell you I’ve corrected some of the typos I found in the original message. What I’ve pasted above is a mouthful!! Bottom line is that this is a thinly veiled pay-to-publish scam. The only one likely to benefit is the blogger or whoever gets your money for purchasing the books. Being published with well-known authors would look good if you worked directly with the authors. Just having your essay in a book with established people isn’t likely to give your career anymore of a boost than having your essay in a book that also has works by criminals is likely to result in guilt by association. One truthful claim is that good editors cost money. They are worth it. They provide the author with a trained, objective eye. Editors can point out inconsistencies, mistakes, and other errors that might take away from the content of the work. This blogger’s offer implies editorial assistance but there is no direct assurance. This project IS COSTING you money. You make a commitment to BUY books. If you are going to invest your money shouldn’t you have input on who edits your work? What kind of credential does the editor have? Who guarantees that your book will sell? I have been working EXTREMELY HARD to promote my book Living in the Heartland: Three Extraordinary Women since it was first listed on Amazon.com in Jan. I am all too aware that book promotion is not easy. It is extremely uncommon to get buyers just because I tweet about my book. Maybe you’ll be able to sell enough books out of the back of your car. Of course, the blogger didn’t say how many books must be purchased. What if you can’t sell the books to your friends and family? Most likely you’ll have to do the work publishers usually do: contact newspapers, radio, TV, bookstores, etc. This means more than distributing press releases. There’s lots of follow-up work to do. Only a small percentage of the contacts will respond, even fewer will be interested. I’ve also encountered a number of unexpected obstacles. For example, it’s harder than simply calling a bookstore to arrange a book signing. Stores want you to have an affiliation with their wholesalers. Selling books is a big investment in time and money. I know. I’m actively involved in this every day. This offer appears to me to be a clever scheme to make writers feel ownership in a book, because their essays are included. The purpose is ultimately to obtain the writers’ money. I have no idea if the blogger cares if writers sell more than their allotted share of books. If the book is a success it will be because of the sales work put in by the writers not the publisher.